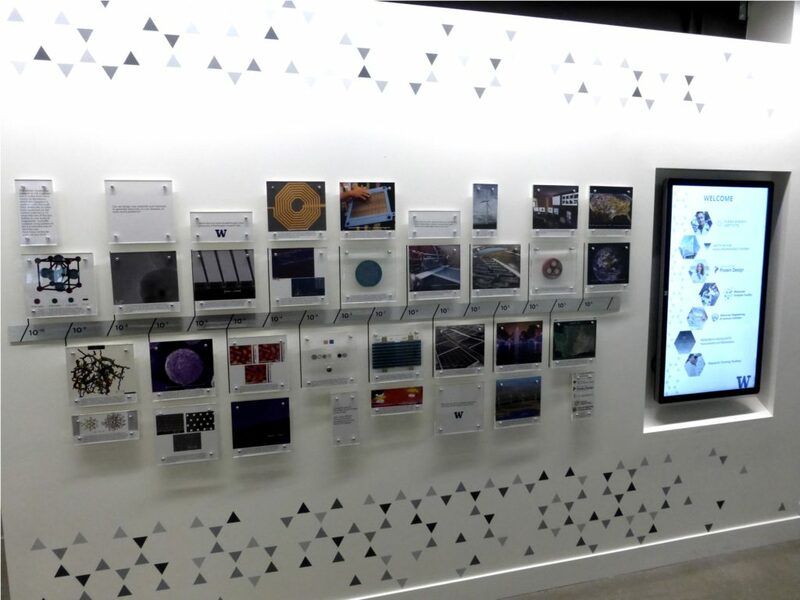 CEI was instrumental in adding a interpretative display in the entry hall of the new Nanoengineering and Sciences Building (NanoES). The theme is research at nanometers to kilometers. It features a “powers of ten” scale line accompanied by images featuring research that occurs at each scale. Adjacent is touchscreen monitor with additional information about the main research groups, institutes and facilities in the building. The display serves as a convenient staging zone for school building tours where we can explain the context of the amazing instruments we are about to visit.